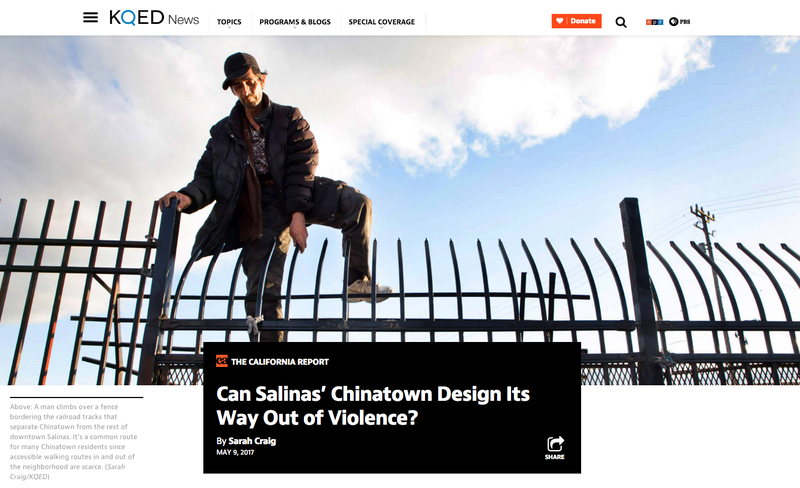 Known for it’s vice and violence, Salina’s Chinatown has struggled for decades with gang shootings, drug dealing, prostitution and homelessness. This reputation - with it’s flophouses and card houses - was even written about by John Steinbeck in his notable book, East of Eden. Carrying into today, the area saw 4 shootings and 1 homicide in the span of 10 days in the beginning of 2017. But preliminary plans are underway to give Chinatown a new urban design makeover. A makeover that sees the roots of Chinatown’s crime and homelessness stemming from the poor design of the place. Listen and read the feature story here at KQED.org.